Computers and mobile phones are such an essential part of our day to day lives. We spend about a quarter of our day in front of a digital device, How does all that interaction affect our eyesight? We recently saw this infographic created by Mezzmer Eyeglasses and thought we would share with you. We hope all our customers have a fun and safe July 4th weekend. 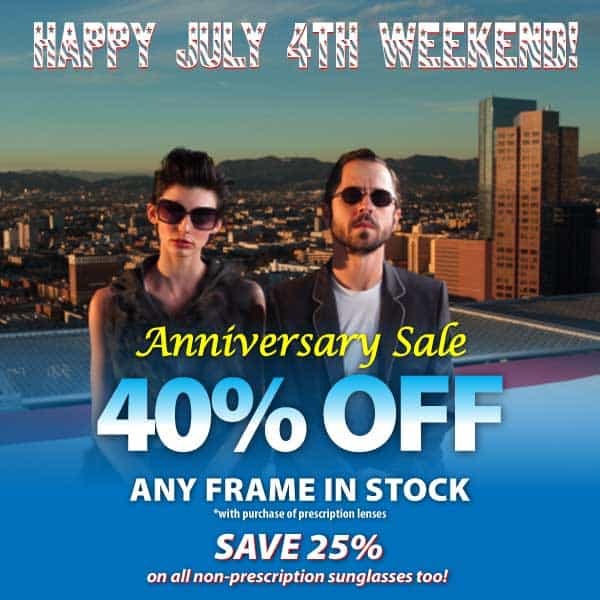 Whether you come down to Cherry Creek North to enjoy the 21st Annual Cherry Creek Arts Festival, head for the coolness of our beautiful Colorado mountains, or stay home to swim, bike, fish, hike, or BBQ, be sure to stop by one of our four Denver area stores to save big during our Anniversary Sale. 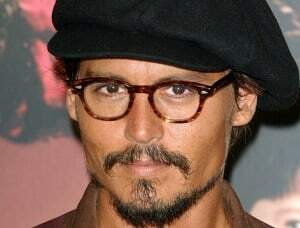 Defining cool for well over a decade, Johnny Depp does it again with his choice in eyewear. Of course Europtics carries this great looking frame and we can custom fit a pair for you today. Stop in and see this fabulous frame for yourself and have your pair ready before the Academy Awards show on February 27th. Lady Gaga was spotted wearing Jane leaving a Restaurant in Paris this Monday (20.12.2010). Jane is one out of two styles stemming from the MYKITA & Marios Scwhwab SS2010 collaboration. JANE is a soft round model, which reminds us of sunglasses worn by John Lennon or Yoko Ono. Reserve your Mykita Jane today at any of the four Europtics locations. We expect them to arrive in January and sell out quickly.